Have you always wanted to be a model but not sure where to start? Are you ready to take your modeling career to the next level? Its time for you to GET DISCOVERED! Wild Child Magazine has helped many aspiring models, actors and more be discovered by well-known agents, talent scouts and industry VIP's. 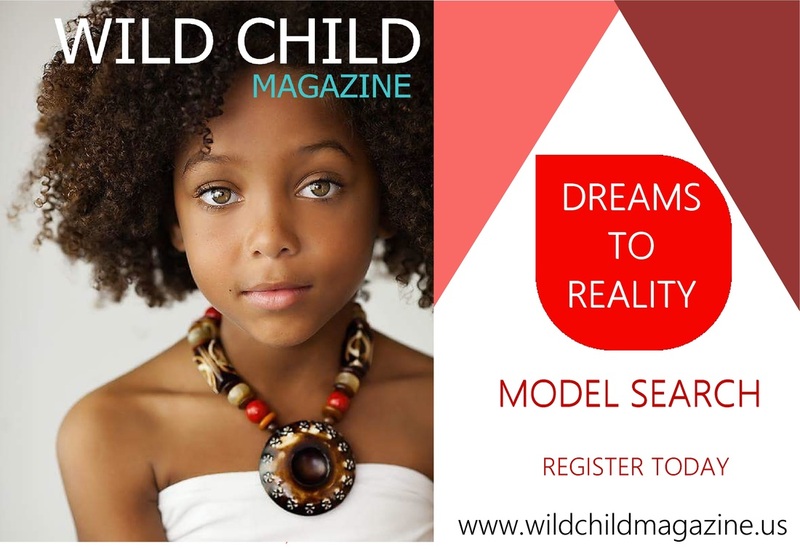 You will have the opportunity to participate in the Wild Child Magazine Dreams to Reality Model Search & Pilot Show Filming. We are dedicated to helping aspiring models enter the industry safely, effectively and affordably. All models will have a chance to show our panel of industry judges that they have what it takes to compete in our finale showcase and walk away with the grand prize. All models must be accompanied by an adult. Boys and girls are welcome! Note * This event will be filmed for a TV Pilot. A talent release form will be emailed to all entrants after registration is complete.